After some personal discussion about project management, and some Wings Life Coaching from my co-host Jayde Gilmore, we share our strategies for this familiar feeling of being overwhelmed or stuck in our journaling practice. We each share our best tips for moving past resistance, gently-yet-directly, to learn more about what’s happening when we don’t want to write anymore. We discuss techniques, such as using famous quotes, movie summaries, lists, and simply allowing yourself to take a break. Jayde and I share our favorite and proven ways to prime the pump of creativity, and gently draw ourselves back to our journal-writing habit. The silver bullet we kept returning to was the use of simple, yet engaging prompts. Your turn to answer: When do you feel burned out on writing? How do you cope? 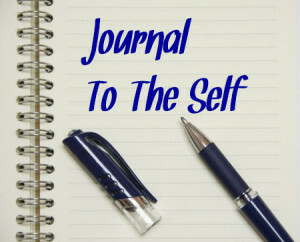 What ways do you bring yourself back to the journal? Post your responses at the bottom of this webpage, in the comments section. To Listen: Click on the “play” button > at the top of this article. 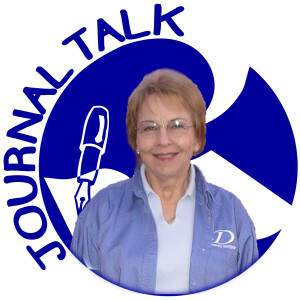 This entry was posted in Audio Podcast, JournalTalk and tagged get back to journaling, Jayde Gilmore, journal-writing resistance, journaling, Journaling Journey, journaling Q&A, journaltalk, Mari Adkins, tragedy, when you don't feel like writing anymore, Wings Life Coaching, writing burnout on October 6, 2015 by Nathan Ohren. The traumatic student shooting in Columbine, Colorado (April 1999). Racial tragedies such as those in Charleston, South Carolina (2015) and Ferguson, Missouri (2014). The Los Angeles race riots of 1992. The World Trade Center collapse of 9/11. Events so profoundly sad and far-reaching inspire many people turn to their journals for reflection, prayer, grieving, and hope. Is it possible that journal-writing can offer healing on a community level? This precious question came from a member of Kay Adams’ Journal-to-the-Self community. For those who advocate a healthy journaling practice, how can one use their knowledge and training to bring strength and peace to entire communities of people in their time of need? Jayde Gilmore and I discuss several ideas and resources, such as James Pennebaker’s Writing to Heal, John Evans’ work, and Lynda Monk’s Writing Alone Together. I am delighted that there are people both skilled and caring enough to bring this work to communities of people, and this episode will hopefully encourage more to prepare to do the same. 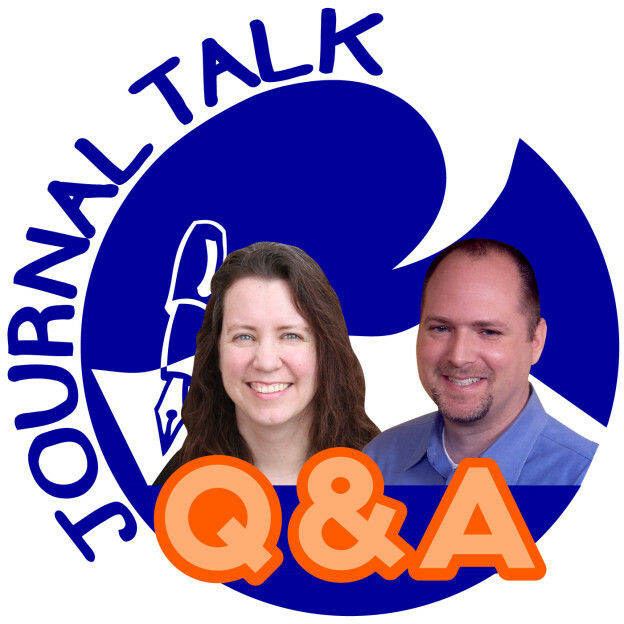 Your turn to answer: How can journal-writing be offered to communities who have suffered? Or, to mend the relationship between two groups of people? What ways have you shared the healing of power of words on a community level? Post your responses at the bottom of this webpage, in the comments section. 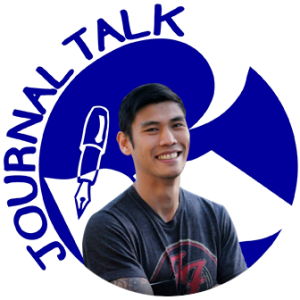 This entry was posted in Audio Podcast, JournalTalk and tagged community, Dr. James Pennebaker, healing, Jayde Gilmore, journaling, journaling after tragic events, Journalling Alone Together, JournalTalk Q&A, tragedy, Wings Life Coaching on July 21, 2015 by Nathan Ohren. 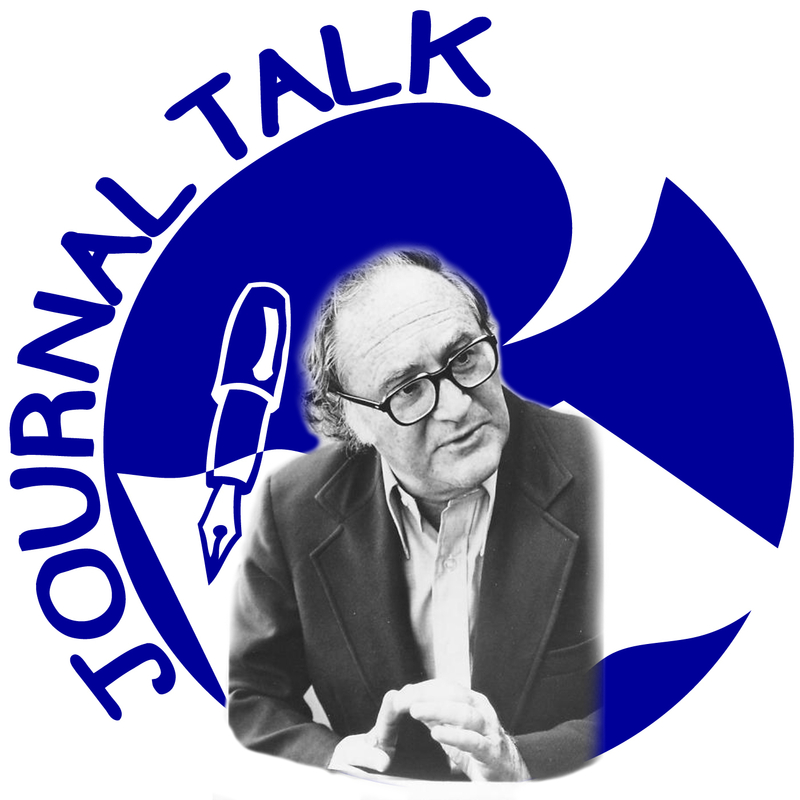 JournalTalk has offered me the pleasure of interviewing some interesting people. People who have developed a habit of asking themselves tough questions, listening to the voice(s) within, and staying present to the answers that unfold. This week’s guest is a great example of such a guy. Thai Nguyen writes with a candid, authentic voice. His articles about personal growth and development have been featured in MindBodyGreen, the Huffington Post, and other popular sites. Thai’s life has taken many interesting turns. His family fled from Vietnam after the war, and made it to Australia. He’s been a 5-star chef specializing in nutrition-rich menus, an international kick boxer and personal trainer, and he attended seminary school with a drive to help people on their spiritual journey. While earning a Masters degree in Psychotherapy, Today Thai writes for his own authentic news site, TheUtopianLife.com. Free Webinar: In this episode, I share how to attend a free webinar about authenticity in your business communications. In this 60-minute video, “Words That Mean Business,” I share tips on building trust and collaboration with your colleagues, to give you an advantage in sharing your ideas and creating a productive work environment. To Listen: Click on the “play” button > at the top of this page. 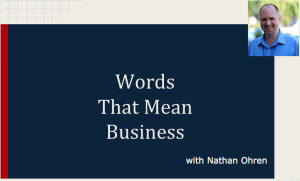 This entry was posted in Audio Podcast, JournalTalk and tagged authenticity, journaling, journaling for managers, JournalTalk podcast, Thai Nguyen, Words That Mean Business on July 14, 2015 by Nathan Ohren. For Joan Porte, looking inward and looking upward are nearly the same thing. As a karmic astrologer, she uses the position and trajectory of celestial objects as her prompts for reflection. And from that angle, she arrives at life’s passion, clarity and purpose with astounding results! Those who know me, (including Joan!) know that I’m a skeptic about such things, and yet her insights provide an entire universe of journal-writing fodder. Her ability to make sense of what she’s describing, and explain the profound conclusions in simple terms, helped me to grasp that perhaps, maybe, if our lives can be affected by Earth’s gravitational pull and miniature waves of light, radiation, and heat, then perhaps somehow, just maybe, we might also be affected in similar proportion by the energies of very largest objects in the known universe! 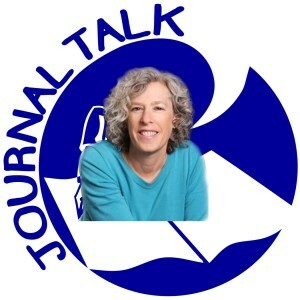 Exclusive Offer for JournalTalk Listeners: In this episode, Joan shares how you can receive a special discount on her signature product, a full thirty-minute audio recording of YOUR karmic birth-chart interpretation, complete with visual aids and explanations. This entry was posted in Audio Podcast, JournalTalk and tagged guiding principles, Joan Porte, journaling, journaling prompt, journaltalk, karmic astrology, podcast, Purpose, Signs of the Tines, zodiac on January 20, 2015 by Nathan Ohren. My friend Shirley, spiritually bruised as a child by a group of religious fundamentalists, describes her recent experience of writing a letter to Jesus, and Jesus’ reply back to her. Book Review: Albert Diaz Cruz shares a brief book spotlight for Journal to the Self, by Kathleen Adams. 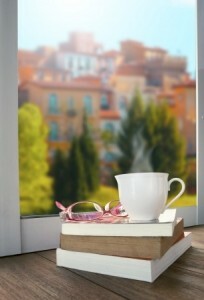 Click on the cover photo to purchase, and Amazon.com will donate to JournalTalk a 4% commission. Thank you for your support, and for the investment in your journal-writing! To Listen: Click on the “play” button > below. This entry was posted in Audio Podcast, JournalTalk and tagged journal writing, journaling, letter to Jesus, spiritual healing, unsent letter on June 15, 2014 by Nathan Ohren. Feel free to write your comments below with more of your questions, or your own opinions to the questions already posed, to fuel the dialogue some more! This entry was posted in Audio Podcast, JournalTalk and tagged blogging, journal questions, journaling, journaling Q&A, journaltalk, Mari L. McCarthy, private writing, writing for an audience on April 20, 2014 by Nathan Ohren. My guest this week is Heather Severson, an award-winning writer, educator and gypsy scholar, plying her craft wherever adults gather for self-development and education. Heather’s formal writing practice began with diaries written at the feet of her scholarly grandfather. 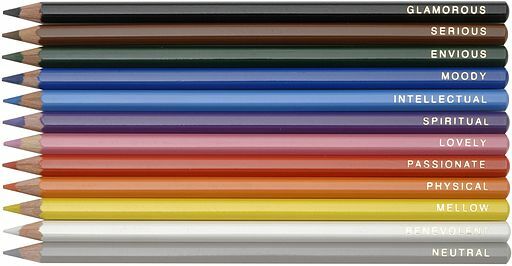 Thirty-five years and two hundred and sixty-five notebooks later, Heather has a myriad of effective, healing, and life-improving practices to share with other journal writers. She goes beyond writing prompts and periodic venting, and helps people find sustainable happiness, as well as ways to keep organized! Heather is the facilitator of the popular Write It Out Journal Workshop discussion group on LinkedIn. She has quite the list of accomplishments on her resume, and we only had time to discuss a few of them. Speaking of resumes, I loved hearing Heather give us a journaling exercise you won’t want to miss: Write out your personal “resume of survival” to remind yourself of the challenges you’ve overcome. A great gratitude boost! It was this episode that I learned about hypergraphia, a condition which Heather modestly confesses she is blessed to have. When she’s not working on publishing her memoir (a gruesome tale about being taken advantage of by a schoolteacher) Heather enjoys sharing the joys of journaling with others, and helps people organize their journal collections so the material is accessible for future reference. This entry was posted in Audio Podcast, JournalTalk and tagged Heather Severson, hypergraphia, journal index, journaling, journaltalk, organizing journals, write it out, writing for recovery from trauma on April 13, 2014 by Nathan Ohren. Welcome to the first in a sub-series of JournalTalk podcasts! 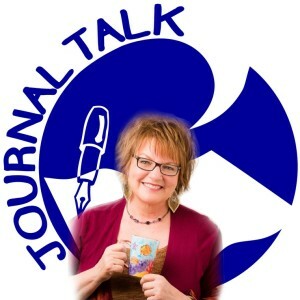 Mari L. McCarthy from Create Write Now joins me as we answer your questions on journaling. This entry was posted in Audio Podcast, JournalTalk and tagged digital journaling, handwriting, journaling, journaltalk, Mari L. McCarthy on April 6, 2014 by Nathan Ohren. When I first started journaling, I remember challenging myself to fill up a notebook as quickly as I could. I numbered each journal with consecutive digits; and just like graduating to the next grade-level in school, I felt a secret pride that I had made it to the next number! I remember making it my goal to write for a whole year, 365 days consecutive, without skipping a single day (that was 1989, and I accomplished that goal)! Sometimes little games like this help keep me journaling during a dry spell. After all, a little competition (even with one’s self) can offer just the motivation one needs to keep on writing. Journaling helps me keep my focus on things that matter to me. Even if my days are filled with errands and obligations, journaling helps me keep making baby-steps of progress on my goals. Journaling helps me identify what my true feelings are, and where they are coming from, everything from jealousy to ambition. When our feelings are misunderstood or misplaced, it can be confusing and frustrating that we act in ways we can’t explain. Knowing myself helps me to have compassion for myself, and allows me to grow. All of these great benefits, and more, are not something that can be guaranteed in 30 days, or in 100 pages of writing. The impact of journaling cannot be measured in the number of words or entries one has written. Journaling is not a product that we produce. It is a method for the accounting of one’s life. It is a process that takes time for exploration and discovery. And like any process that takes time, little games and arbitrary measurements (“Look! I’m on my 208th notebook!”) can help us stay on course when the process gets challenging. This entry was posted in Journaling Tips and tagged journaling, journaling practices, writing on March 24, 2014 by Nathan Ohren. Start by opening to a fresh clean page in your journal. While taking a deep breath to begin, take a moment to notice and appreciate the empty page. Rest the tip of your pen onto the page, and select a simple first word or phrase to become a focus during your meditation. Write the word(s) slowly. Allow your pen to move gently; watch the ink get absorbed onto the page. While you continue selecting thoughts or phrases, don’t worry if they are not full sentences. Simply allow yourself to drop your thoughts, one phrase at a time, as if they are being caught in a net. If there is a pause, or a moment between words, take the opportunity to reconnect with your breath. Notice your inhale and exhale. Let your attention rest on the tip of your pen, allowing it to pull out the next word for you. Allow your pen to move, as if holding the cursor of a Ouija board, channeling wisdom from you inner spirit. There are times when journaling can be soothing and relaxing. Just as journaling can raise new ideas and creativity, it can also be used to quiet the mind. Instead of only focusing our journal-writing on all the chatter in our heads, an exercise like this one can help to move into a calm state. Sometimes poetry will leak onto the page using this technique. This entry was posted in Journaling Tips and tagged journaling, journaling practices, meditation, writing on March 17, 2014 by Nathan Ohren. As promised in Episode #13, Ruth Folit (the brains behind the LifeJournal Online software) has come back to share about the International Association for Journal Writing. In this episode, we discuss how the Association got started, its reputation and offerings, and what Ruth has learned from her time as founder. As usual, we get to hear some inspiring ways that journaling can produce amazing results in daily living. 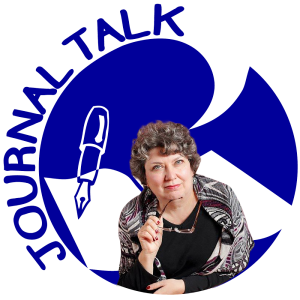 This entry was posted in Audio Podcast, JournalTalk and tagged International Association for Journal Writing, journal writing, journaling, journaltalk, lessons from journaling experts, Ruth Folit on March 15, 2014 by Nathan Ohren. It’s time to call in the great-grandfather of journaling himself, Dr. Ira Progoff! In this episode, I share a clip from a past interview with Dr. Progoff, who is the founder of The Dialogue House, inventor of the most famous journaling methodology, and as far as I can tell, the first psychologist to ever prescribe the use of journaling! I discuss the Progoff Intensive Journal Method with Ira’s son, Jon Progoff, who shares with us an insider’s perspective on Ira’s career and contributions to the world. This conversation inspired me to book a flight to the nearest Progoff workshop (theyr’e still being offered all around the country at an affordable price). I attended an amazing four-day workshop in Tucson, AZ, and got a LOT of writing done. In a separate episode, I share my findings and reactions to the Progoff experience. Click on the “play” button > below. This entry was posted in Audio Podcast, JournalTalk and tagged Dialogue House, Intensive Journal Method, Ira Progoff, journaling on February 27, 2014 by Nathan Ohren. 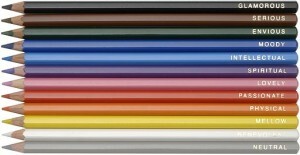 While designing a journaling workshop, I often ask myself, “What’s the one thing that I want people to take away from this session?” It’s a technique I learned from my days in instructional design training. 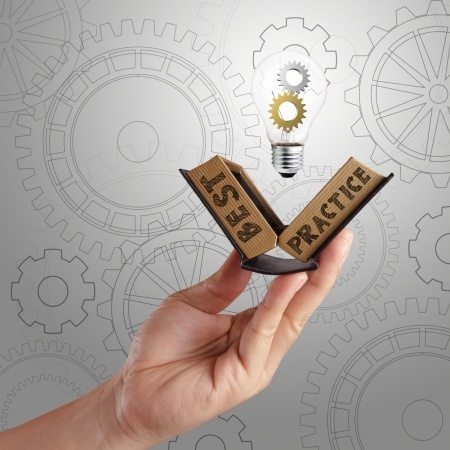 I’ve also heard Pat Flynn, Michael Hyatt, and other contemporary coaches offer this suggestion to bloggers and podcasters who are preparing content for their audience. This question has served me well, and always helps me focus on one important theme, around which I can decorate with supporting examples and exercises. It keeps my journaling workshops engaging and poignant. But recently I’ve noticed something. When I think of the one thing I want people to come away with, it’s almost always the same thing every time. Whether I’m preparing for a journaling workshop, or podcast episode, or blog post I’m working on. I’m taking this as a sign. I think it means that maybe there’s just one thing that I want you to know about journaling. Perhaps I’m realizing that there’s really One Thing that best summarizes a good journaling practice. The One Thing that explains all the wisdom in all the workshops and books on the subject is: Learn to Get Real with Yourself. Journaling coaches and therapists around the globe have offered all kinds of stylistic trainings and motivation on journal-keeping. There are hundreds of resources, books, workshops, theories, and prompts to help inspire you toward your best writing. But perhaps this one principle, if mastered, will make all the other tips and techniques unnecessary. Just spend some time “getting real” with yourself. Neither tips, nor prompts, nor fancy pens, nor crafty notebooks, nor all the software features in the world can make an ounce of difference in the quality of my journal-writing if I’m not willing to open up and be completely honest with myself. We are masters at spinning information, juggling with people’s perceptions, dancing with both our ego and our soul, choosing which is nobler between two goods, such as telling the truth or preserving the peace. We put on a smile at work, even though we are exhausted and the customer is unfair. We quiet our kids’ persistent unanswerable questions with harmless white lies to get through the day, knowing they’ll understand more when their time comes. We blend in, we strategize the best refund, we find a silver lining, we point to our good intentions to explain our thoughtless mistakes. There are millions of ways that we shift and warp reality, and they are all for good reasons. But in our journals, it’s time to get real. And, unfortunately, getting real with one’s self is nothing that I (or anyone) can teach you in a workshop or a book. It’s simply calling a spade a spade. It’s acknowledging both sides of an argument. It’s facing whatever fears are blocking our courage. It’s being secure in our insecurities. It’s making time to celebrate the small accomplishments. It’s recognizing the value of our contributions to the world. It’s forgiving. It’s making peace with why it’s sometimes so hard to forgive. It’s getting clear about who we are and where we want to be. It’s stating our truth, however inconvenient. It’s wrestling with our convictions, and untangling old systems of thought that no longer serve us. If there’s one thing I would like to teach the world about journaling, it’s that journaling is the best place to get real with ourselves. And if we can get real in our journal, we can face ourselves in the mirror. And once we are acquainted with ourselves, can we truly know the whole world. This entry was posted in Journaling Tips and tagged journaling, journaling practices, journaling tips, know yourself, tips and techniques on February 25, 2014 by Nathan Ohren. A Whole Universe of Journaling! After creating and leading her first “WriteOn!” journaling workshop in 1985, Kathleen Adams knew she had found her purpose in the world. Since then, she has made an impressive list of accomplishments and contributions to the field. Her book, Journal to the Self: Twenty-Two Paths to Personal Growth, is among the most-referenced, pragmatic guides to the craft. It has become the basis of her signature Instructor Certification program at The Center for Journal Therapy. UPDATED, SPECIAL OFFER: JournalTalk listeners get 25% off the upcoming Journal-To-The-Self workshop, when you register before March 1, 2014. Just use the coupon code “JOURNALTALK” at check-out. 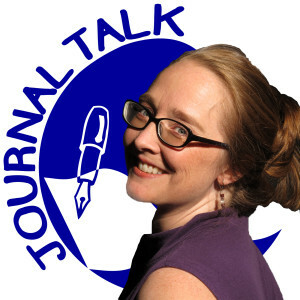 This offer expires when the next episode of JournalTalk is released, so please head over today! This entry was posted in Audio Podcast, JournalTalk and tagged Journal Ladder, Journal to the Self, journaling, journaltalk, Journalverse, Kathleen Adams, Kay Adams, podcast on November 10, 2013 by Nathan Ohren.